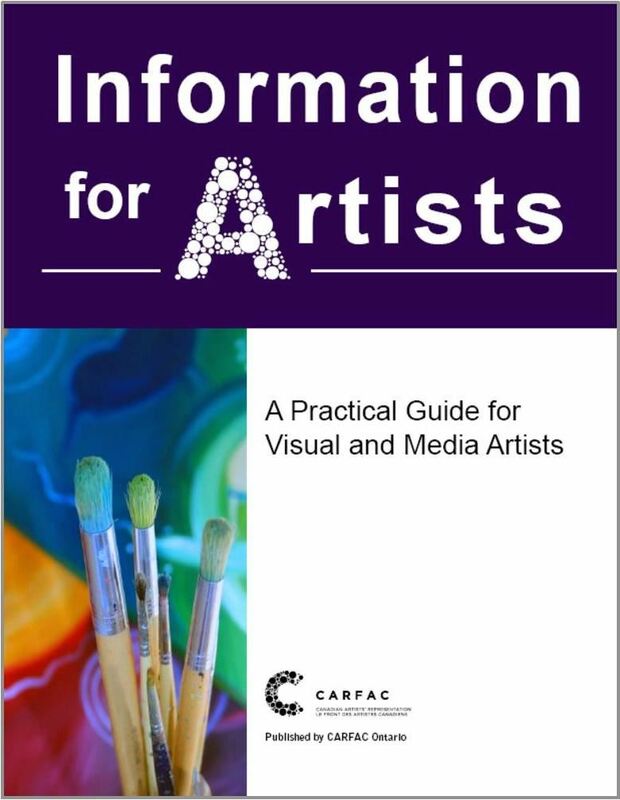 CARFAC Ontario publishes a number of books on the business and practical aspects of visual and media art. These resources are available to all artists, but CARFAC Ontario members enjoy a discount off the cover price. Join now to receive your discount. We also offer discounts on bulk orders (30% off the non-member price), for educational institutions and libraries. Perfect for classrooms, membership gifts, gallery staff, and more. Please browse our various publications here, which are available for purchase by using PayPal or by downloading and submitting a publications order form (pdf). How do you publicize your artwork? What is a listserve? How do you do your taxes? How do you transport your artwork safely and cost-effectively? Answers to these questions lie in the pages of Information for Artists: A Practical Guide for Visual and Media Artists. This unique 'survival guide' consists of nineteen chapters covering a variety of subjects relevant to Canadian visual and media artists. The authors come from diverse backgrounds specializing in visual and media art, education, arts administration, law and accounting. Information for Artists is an indispensable resource that an artist will refer to again and again. 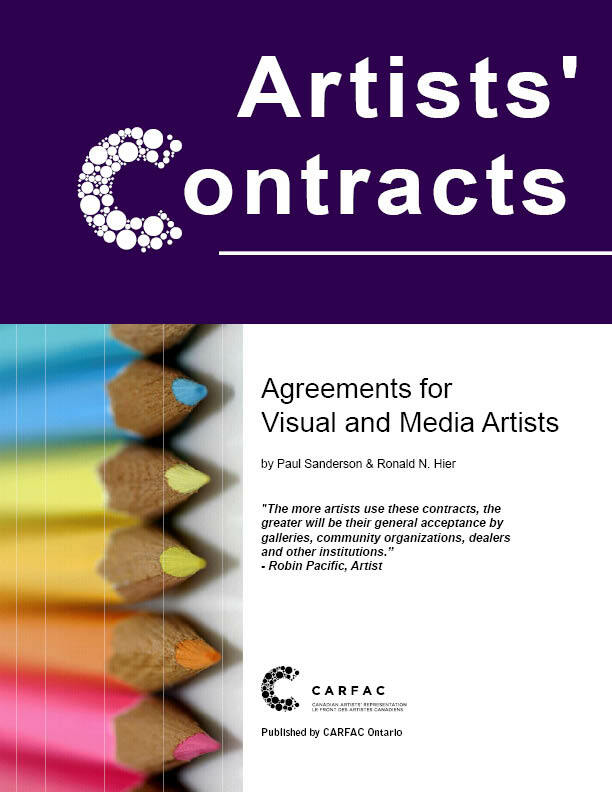 Artists' Contracts: Agreements for Visual and Media Artists is a comprehensive and easy-to-understand guide to the "DOs and DON'Ts" of written contracts. Artists' Contracts is a valuable resource to all artists, emerging and established, on their legal rights. It serves as an important educational primer, providing information on the essentials of contractual agreements, tips on how to draft and negotiate contracts, and advice on what to do if disputes should arise. It also introduces general legal terms found in most contracts, and includes comprehensive notes. Written in plain language, Artists' Contracts offers the necessary tools to help artists negotiate contracts effectively and to their benefit. The Visual Artists' Guide to Estate Planning examines the steps that you can take towards generating a strong artistic legacy that has persistent visibility and protection. It is meant as a guide to maximize the potential of your work, and to minimize the complications that come with the process. Creating an estate plan is not a simple task, but the long-term benefits of a plan will prove, in the end, to be very helpful to you and to those you care about most. 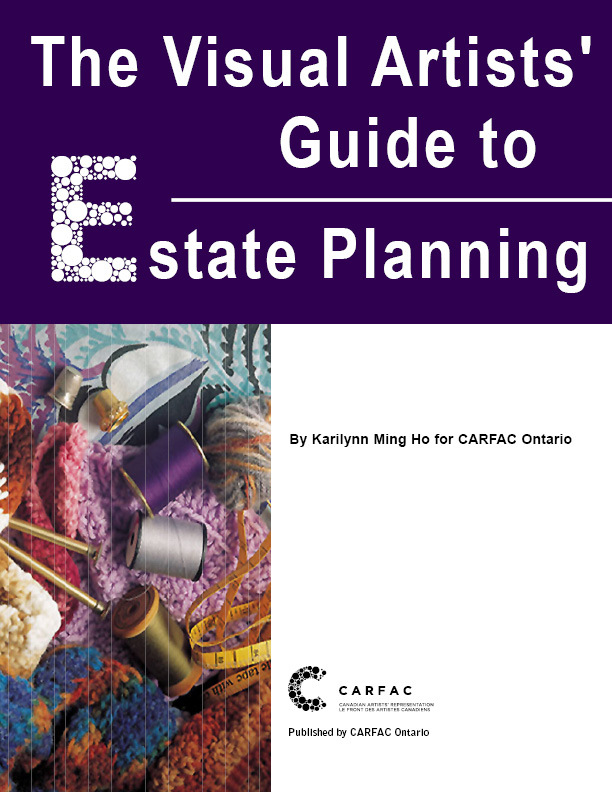 Includes six chapters on estate planning; a glossary; additional resources; a sample inventory sheet; warranty regarding entitlement form; a sample gifting agreement and basic will, and a will information checklist prepared by Iler Campbell LLP. In an effort to help artists to understand the importance of practicing safety in the studio, CARFAC Ontario published The Healthy Artist and L'Artiste Sain. 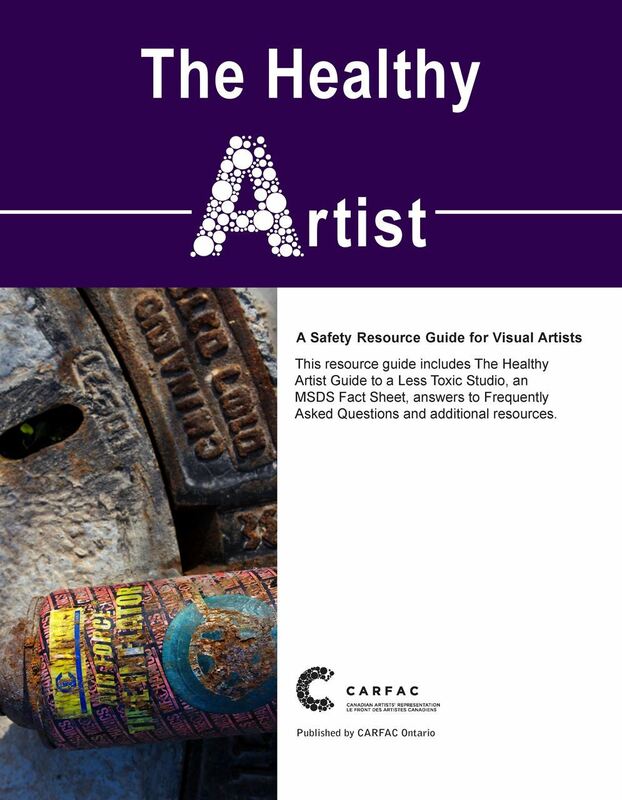 This resource guide includes The Healthy Artist Guide to a Less Toxic Studio, an MSDS Fact Sheet, answers to Frequently Asked Questions and additional resources. Unfortunately, the Artists' Day Planner will not be available this year.